With a softening real estate market and increasing media coverage on declining home sales, c21 needed to get coverage of Centex Homes’ new development Cobblestone at Brookhaven by ensuring positive stories on the community’s amenities and the company’s success, in turn increasing potential homebuyer traffic to the community. c21 capitalized on the community’s unique amenity, its butterfly garden, and the growing “green” trend by creating and developing a butterfly garden launch event with supporting media relations tactics focusing on the amenity as an oasis for the community’s current and potential residents. Centex executives released 400 Monarch and Painted Lady butterflies to populate the eco-friendly amenity and draw other area butterflies to it. c21 managed all event details, including securing the butterflies, creating the event theme, and sending an e-invitation to media and special guests. 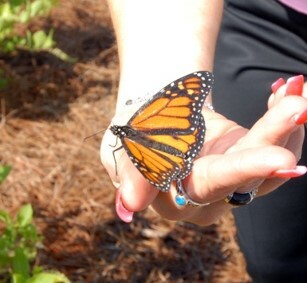 Photographs taken of the butterflies’ release were sent to media unable to attend the event. Also, the amenity and event were proactively pitched through a series of customized pitches, press releases and media alerts. The Atlanta Journal-Constitution attended and covered the launch event, and within four weeks, c21 secured more than four million media impressions from publications, including the Atlanta Business Chronicle’s Living in Atlanta, Atlanta Intown and Newcomer. According to Centex Homes, sales center inquiries increased, and the company is considering holding an annual butterfly release event.